Hidden underneath the awe-inspiring Souther Alps lie the Swiss-Belresort Coronet Peak Hotel. 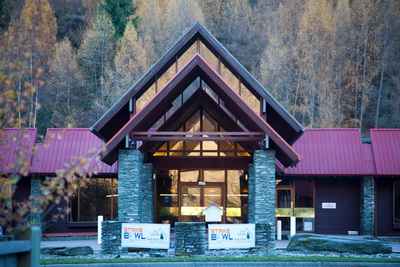 Just seven minutes away from Queenstown, this is the perfect place to stay for people wishing to explore the sports and adventure capital of New Zealand. 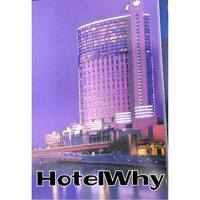 The hotel features 75 fully-serviced rooms which all feature private bathrooms.There are four categories of rooms starting with the standard room for up to two guests all the way to a family sized room that can house four guests. Folks who choose to stay at the Swiss-Belresort have access to an on-site restaurant, two different bas, swimming pool and even bowling centres within the hotel. They even offer a private wedding service if you happen to meet the one during your stay! 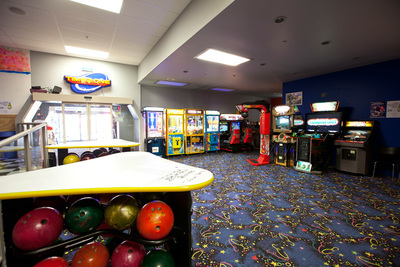 The hotel's unique locations presents a number of unique activities that are mere minutes away. The world famous Shotover Jetboat and Canyon Swing are only 2 mintutes away for everyone seeking a burst of adrenaline. Coronet Peak Ski Field is only a 15 minute drive fom the hotel and is a premier skiing location in winter. There are also several hiking and biking trails nearby that allow you to explore the natural beauty of the Queenstown area. Also, the award winning Onsen Hot Pools are just across the street and waiting for you to go in and take a dip. The Swiss-Belresort offers a complimentary shuttle to whisk you into the action of Queenstown's town centre and also takes you back to the hotel once you've had your share of Queenstown vibes. 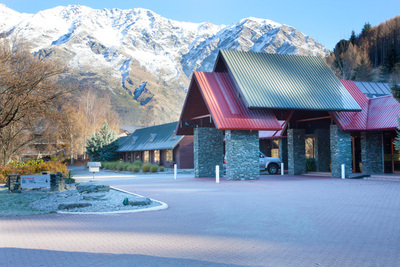 There are few accommodation options in Queenstown that offers the full package that the Swiss-Belresort Coronet Peak brings to the table.